Christianity Today: Mormons, Evangelicals, and "Most Improbable Dialogue"
Richard Ostling, co-author with his wife Joan of Mormon America, has written an article on evangelical-Mormon dialogue for Christianity Today magazine. The article is titled "Most Improbable Dialogue" and it is found at htis link. The thoughtful Mormon blogger Aquinas has posted his commentary and corrections to some of Ostling's portrait of Mormon teaching at Summa Theologica. I would add that dialogues are also taking place on a community level, such as the one have been involved with for two years now, and which is poised for expansion. In my view these grassroots level dialogues are significant, perhaps even more than the academic dialogues that have been taking place for several years. For the purposes of this discussion, the most economical and unambiguous means of making such distinctions is developing definitions that all refer to the usual categories or dimensions - mythological, doctrinal, ritual/liturgical, ethical, social/institutional, and experiential - that scholars have developed over the years to facilitate discussion of religion. Here however, these dimensions need to be ranked so that the most significant is the mythological rather than the experiential (the classification very often receiving greatest emphasis in studies of specific religious traditions, because it is the one that includes the reports of direct encounters with the sacred that are turned into the founding stories of new religious movements), the doctrinal (the area so often stressed in apologetic works), or the social/institutional (the dimension that was the main focus o both the sociological and historical study of religion for many years and the one that remains the primary focus of much of the sociological study of the topic). Moreover, besides elevating the mythological dimension to primacy in this instance, it is extremely important to keep in mind that when it is used in religious studies, mythological does not refer to fairy tales, fables, and other forms of patent untruth. 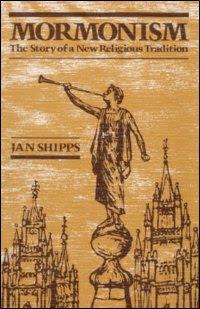 It refers to story, to accounts of beginnings (holding out possibilities both of devastation and renewal), of sin and redemption, of heroes, heroines, and life lived out in the larger-than-life "oldest days" when divinity is said to have dealt with humanity face to face, providing a foundation for culture. Update: The archived program can be found here. On Halloween I will be a guest, along with noted new religions scholar Gordon Melton, on The Drew Marshall Program, "Canada's Most Listened To Spiritual Talk Show." We will be discussing the paranormal. Information on the show's broadcast times, how listener's can call in when the program is on the air, and how to listen to this show once it is put in the archives, can be found at the show's website. I recently connected with W. Scott Poole, an associate professor of history at the College of Charleston. He has written a book titled Satan in America: The Devil We Know (Rowman & Littlefield, 2009), and the following essay is adapted from that book. It originally appeared in The Post and Courier. Is the president of the United States the Antichrist? Is there a powerful supernatural, and sinister supernatural, being who fights by the side of America's enemies? Will thousands of agents of Satan be active this Halloween, prowling the autumn night in search of victims? While some might think ideas such as these belong in 15th-century Europe, they have played a significant role in the political rhetoric and cultural anxieties of contemporary America. A September poll taken among New Jersey Republicans found that 35 percent believed either that Barack Obama was the Antichrist or were "not sure." In the Iraq War, during the assault on Fallujah in November 2004, Lt. Col. Gareth Brandl told the BBC that, "The enemy has got a face. He is called Satan and we are going to destroy him." And since the 1970s, rumors about "satanic covens" operating on All Hallows Eve have changed the nature of Halloween celebrations. Americans have long held this fascination with the devil, so much so that understanding this shadow side to American history helps us understand much about American identity. The Salem Witch Trials are perhaps the best known, though often misunderstood, examples of belief in Satan influencing public life. What is not generally known is that Salem was not the only outbreak of witch hunting in Colonial America. In the first 100 years of the Massachusetts Bay Colony, close to 400 settlers faced accusations as witches. Witch hunts occurred in Virginia in 1706 and as late as 1779 in the newly opened Illinois territory. In both 18th- and 19th-century America, successive religious revivals swept the nation under the guidance of leaders such as George Whitfield, Charles G. Finney and D.L. Moody. Preaching the central importance of a powerful conversion experience, these leaders also emphasized the dangers of the devil's snare. By the 1830s and 1840s, the energy from these revivals helped generate numerous movements for reform. These movements, from temperance to abolition, used imagery associated with Satan to rally their troops in a moral crusade. The Civil War itself became a moment when both sides saw the devil in the shape of their enemies. A pamphlet published by the Ladies Christian Commission, a Northern organization that helped provide support for the Union armies, described how the Union was "working for the downfall of the Antichrist." A writer in Upstate South Carolina called Satan "the first abolitionist." In the 20th century, the birth and growth of new styles of the Christian faith placed the devil and his doings at the center of their faith and practice. Pentecostalism emerged in the early 20th century as a faith of the downtrodden, a belief that miraculous powers of healing and the language of angels could be alive and active in the modern Christian Church. This belief in miracles, combined with a sense that these very miracles were signs of the end, also opened the door to the possibility that spiritual evil was alive and well in the world. By the 1970s, entire Pentecostal organizations were devoted to what became known as "deliverance ministries" that promised freedom from demonic powers. After America's tumultuous '60s, the popularity of the devil at the movies mirrored the growing religious fascination with his work. Films such as "Rosemary's Baby," "The Exorcist" and "The Omen" signaled a new kind of scary flick, the "religious horror movie" in which dark spiritual forces became the monster. The films often proved to be fascinating and unsettling to Americans in the unsettled times of the late '60s and early '70s. "The Exorcist" in particular triggered strong reactions, with theater patrons not only screaming but also vomiting, passing out and reporting weeks of sleepless nights. The combination of religious anxiety and pop culture fascination had some frightening results in the real world. In the 1980s, what scholars are now calling "the satanic panic" seized portions of the population. Evangelical leaders accused heavy metal musicians of including coded messages in their music that would lead teenagers toward Satan worship. Rumors of active satanic cults kidnapping children became so common that, in 1985, the popular television news magazine "20/20" did an "expose" by Geraldo Rivera called "The Devil Worshippers." Although deeply flawed in its reporting, network television's willingness to make use of urban legends and rumors brought worries about "Satan worship" to a peak. A wave of panic and fear mongering ruined the reputations of innocent people. In some cases, law enforcement took these claims seriously, sometimes even making use of so-called "repressed memories" as their primary evidence. So-called "rumor panics" became common at schools and day-care centers. The "satanic panic" of the 1980s grew out of the nation's long fascination with the devil, the fear and anxiety many Americans had felt since the late '60s, and the era's political conservatism. By the mid-1990s, fascination with the devil in popular culture, and popular theology, had reached fever pitch. Horror films such as "Stigmata" and "Devil's Advocate" regularly borrowed religious imagery. The wildly popular "Left Behind" series, authored by Tim Lahaye and Paul Jenkins, portrayed Satan as masterminding a takeover of the world's religions and its political structure at the end of time. Making sense of the role played by the devil in American history helps make sense of the nation's self-understanding, its sense of identity. At every moment in American history, the devil has been the nation's secret self, the inspiration for witch hunts from Salem to the McCarthy era, a rumor and a panic running through the culture. The devil we know has been, too often, the devil we have found in our political and cultural enemies. One of the areas that is of interest to me in theological reflection is the question of human consciousness and all the issues it raises, such as how we can trust our experience of self and the world as real and not illusion. 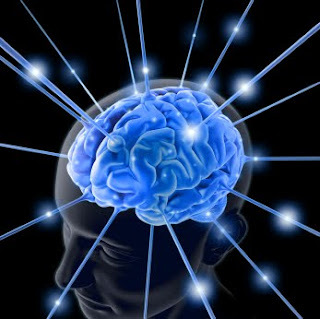 Much of the scientific community explains consciousness as nothing more than the actions of the brain. This assumption is challenged with a book byAlva Noë titled Out of Our Heads: Why You Are Not Your Brain, and Other Lessons from the Biology of Consciousness (Hill & Wang, 2009). See the discussion of Noë's revolutionary challenge to materialist understandings of consciousness in this religion dispatches article. The book can be ordered via Amazon.com here. "A Pagan Republican Comes Out of the Broom Closet"
Religion dispatches recently included an article by Sarah Pike, religious studies professor at CSU Chico, that discusses a political campaign by a Neopagan in the Republican Party. 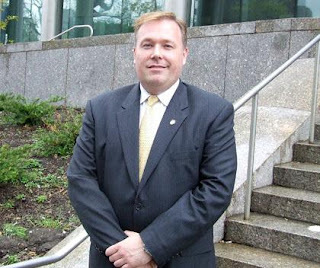 In "A Pagan Republican Comes Out of the Broom Closet," Pike discusses Dan Halloran's run for a New York City councilman's position. Of course the great surprise in this situation is that the Republican Party is known more for its long associations with conservative evangelical Christianity, not Neopaganism. It would have been impossible to find a Neopagan like Halloran running for political office twenty years ago, when most Neopagans kept their identities carefully guarded for fear of losing jobs or child custody battles. In neighborhoods all over the country, Neopagan communities have been treated suspiciously and outright persecuted by some Christian neighbors, law enforcement, and government agencies. Since for many Americans, the Republican Party is inseparable from conservative Christianity, Neopagans were surprised that the party stood by Halloran, and took it as a sign that not only is the makeup of the religious left and the religious right shifting, but that the country as a whole is becoming more receptive toward their religion. This development is an interesting one as pluralism continues to shape the public square, including the political landscape. While the positive response of the Republican Party to Halloran's campaign is encouraging, it remains to be seen how conservative evangelicals will react to this. I recently became aware of a book that came out in May of this year. It is by John H. Walton, professor of Old Testament at Wheaton College, and it is titled The Lost World of Genesis One: Ancient Cosmology and the Origins Debate (IVP Academic, 2009). The interesting thing about this book for me is that it looks at the literary and cultural context of the ancient Near East and what the Genesis creation narratives would have said to the Hebrews as it reflected their cultural context. This cultural and literary perspective provides the foundation for Walton's argument that the Genesis creation stories are functional rather than material in nature, and that this results in a portrait that is painted of the cosmos as a divine temple. Deity pervaded the ancient world. Nothing happened independently of deity. The gods did not "intervene" because that would assume that there was a world of events outside of them that they could step into and out of. The Israelites, along with everyone else in the ancient world, believed instead that every event was the act of deity -- that every plant that grew, every baby born, every drop of rain and every climatic disaster was an act of God. No "natural" law governed the cosmos; deity ran the cosmos or was inherent in it. There were no "miracles" (in the sense of events deviating from the "natural"), there were only signs of the deity's activities (sometimes favorable, sometimes not). The idea that deity got things running then just stood back or engaged himself elsewhere (deism) would have been laughable in the ancient world because it was not even conceivable. As suggested by Richard Bube, if God were to unplug himself in that way from the cosmos, we and everything else in the cosmos would simply cease to exist. There is nothing "natural" about the world in biblical theology, nor should there be in ours. I take away from this a few observations. Although Walton and most evangelical readers will consider this thesis in light of the creation/evolution debate, and I think this makes an important contribution in this arena, I would like to see evangelicals make application in two other areas. First, the idea of the creation narratives as a discussion of God's cosmic temple is a reminder of our neglect of a creation theology, including God's temple indwelling of his cosmos and our responsibilities as stewards of the creation. Second, I believe Walton's thesis presents a point of contact for Christian-Pagan dialogue. I encourage evangelicals to entertain Walton's thesis with an eye toward a number of applications. It is quite natural for human beings to bring the totality of what they are and the influences on their lives to bear on their views, whether public or private. This includes their religious views and how they shape their opinions. Religion dispatches includes an article by Joanna Brooks titled "How Mormonism Built Glenn Beck." The reader can see how the comments following the article reveal disagreements as to how well the author understands Mormonism and its culture, but I point out this article in order to make readers aware of the significance of religious beliefs in the public square in general, and the continuing rise of individuals with a connection to the Mormon faith who are involved in American political discourse in particular. One significant facet that is missing in Brooks' analysis is Beck's "end times" views which represent an amalgamation of Mormon teaching and pretribulational dispensationalism found in popular books by evangelical "prophecy experts." Such thinking is reflected in Beck's largely pessimistic view of America's economic and political systems. 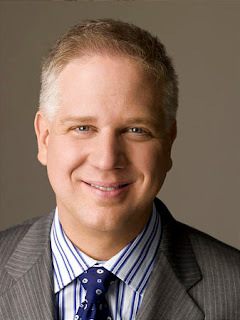 ..Beck’s spectacular rise suggests that evangelical conservatives (especially those under 40 who may not remember the anti-Mormon cult crusades of the 1980s) are increasingly willing to set aside their reservations about Mormons when it suits their pragmatic and political interests. This is a reminder of the fluid nature of both politics and the religious landscape, including evangelicalism. It would seem that the portrait of Mormonism presented in previous decades by certain segments of evangelicalism is waning, as is the priority younger evangelicals give to such conceptualizations. This post presents two items related to Sacred Tribes Journal. The first is a call for call for articles, and the second is an announcement concerning a book review in the next issue of the journal due out in November. History demonstrates that incidences of violence are more likely to occur for at least two reasons. First, violence is likely to occur when one group, either minority or not, feels threatened. Second, violent acts will occur to the degree that one group is responsible for social control over another. These tendencies are exacerbated with the “war” rhetoric of fundamentalist movements around the world. Such rhetoric continues to communicate a message that is contrary to the teachings of many religious leaders who are seeking peace. Certainly religious people around the world are facing persecution. One must only recall that 70 million Christians have been martyred in the last 20 centuries; nearly 6 million of those were martyred by other Christians. Approximately 160,000 Christians are martyred each year. However, Christians are not the only religious group experiencing martyrdom. Eighty million Muslims and 20 million Hindus have been martyred for their faith as well. Respect for religious others is critical and should be mutual in order for there to be sustained peace among religious groups. 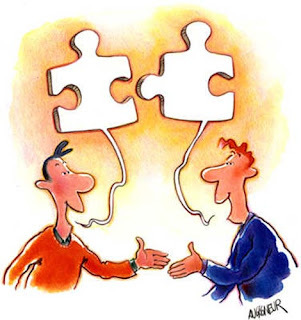 When religious people understand each other as something different than antagonists or detractors opportunities for fruitful conversations open. When we show respect and strive for understanding our voices can be heard once more as a voice of peace and love rather an violence and intolerances. Sacred Tribes Journal would like to focus upcoming issues on religion and peace. Articles should focus on the intersection of religion and peace from explicitly religious perspectives. STJ is interested in articles that represent various faith traditions and their views of peace, practical application of efforts to sustain peace by religions as well as academic and theological studies on peace and religion. If you are interested in submitting an article for consideration, please see the guidelines for contributors. Your submissions can be sent to the editor (mcooper@sacredtribesjournal.org). 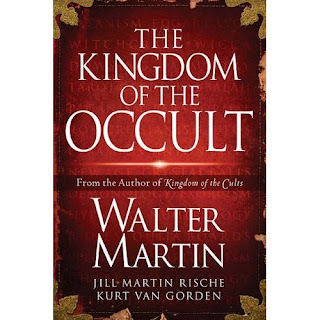 And the content for the November issue of the journal will include a book review of The Kingdom of the Occult by Walter Martin, Jill Martin Rische, and Kurt Van Gorden (Thomas Nelson, 2008). The review is written by Dr. Douglas Cowan, Professor of Religious Studies at Renison University College at the University of Waterloo. 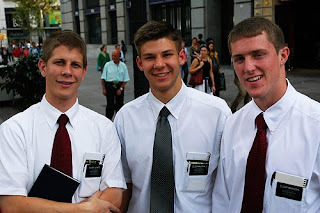 Evangelicals sometimes ask me how to best share their faith with Mormon missionaries when they come knocking. Interestingly, one of the best series of suggestions comes from the thoughtful Mormon blogger, Aquinas, who recently shared his thoughts as he interacts with evangelicals on the topic. His post can be read at his blog Summa Theologica here.